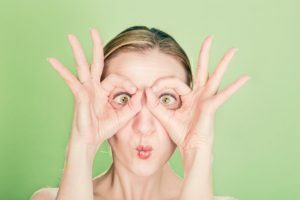 7 Anti-Aging Hacks for Ageless Eyes - Anti-Age Naturally! 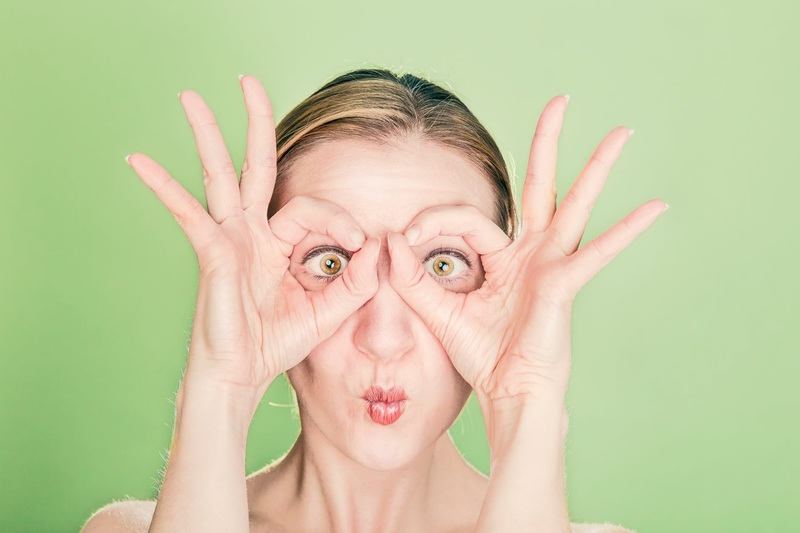 Since the eyes are typically the first place to show age – and can also give it away – I thought I would focus today’s hacks on some ways to brighter, healthier, younger eyes. 1. Dark circles can come with age. As the skin thins you can start to see the blood vessels underneath. Caffeine shrinks those blood vessels. Many eye products now contain caffeine for this reason. But you can do it yourself. Mix together 4 tablespoons of organic aloe vera gel with 2 teaspoons of coffee oil and 2 teaspoons of pure Vitamin E oil. Store in an small glass container and apply nightly. To make your own coffee oil, grind 2 tablespoons of organic coffee beans to 4 tablespoons of organic olive oil in a small crock-pot (I use a small 1.5 qt crock-pot) and cook on low for 3-4 hours. Strain with a cheesecloth. 2. Straight up pure aloe vera is a great way to reduce crow’s’ feet – apply morning and night. Also, regular egg-white masks tighten the area. Just separate from the yolk and apply as you would any mask. Leave on 15-20 minutes and rinse with warm water. Last but not least, practice prevention by wearing sunglasses, using a natural sunscreen and staying hydrated. 3. Thinking about an eyelift? Try this first – a daily massage around your eyes. You can use a little coconut or olive oil so there isn’t any friction. Here’s the method: use your middle fingers and start at the inside corner of your eyes. And gently make circles for 30 seconds. Next take your middle fingers and start at that middle of your eyebrows and massage up. Stop at the hairline and repeat for 30 seconds. Do this every day for a week and you’ll cancel that eyelift. 5. Sparse eyebrows can also make you look older. Fill in those areas with a pencil but do it lightly. You can also apply some of the lash-growth formula nightly when you are applying to your lashes. 6. I wrote this hack a while back but it fits in here and I think it’s worth repeating: This might sound a bit weird to you – as it did to me. But researchers are finding that honey drops treat blepharitis, dry eyes, sore eyes and protect your vision. Some studies used Manuka honey while others didn’t specify the type of honey, other than raw. To make your own eye drops take a sterilized two-ounce amber bottle (you can get from The Vitamin Shoppe) with a dropper and add 8 parts distilled water to 1 part honey. Shake well and make sure it’s completely mixed before using. If you feel it’s not mixed enough, or are worried, close the top tight and run under warm water for a few minutes and shake again. Make sure it’s not too hot before using. Apply one drop to each eye and use as needed. Store in the refrigerator for up to one week. If you want to make a stronger version you can do a ratio of 1:5 = honey: distilled water. (for further reading and studies you can Google my references below). 7. Keep your vision sharp and prevent age-related eye diseases. Eat a healthy diet of green leafy vegetables, eggs, oily fish, carrots, citrus fruits, seeds, nuts, grassfed beef and green tea. Or take asupplement with nutrients like omega-3s, Vitamins A, C, and E, lutein, zinc and zeaxanthin. In fact, research shows that supplementing with omega-3 can lower intraocular eye pressure (good to know). And I have to say it even though you already know it – sleep is the best way to bright eyes. If you have trouble sleeping try a natural sleep aid. You may be sorry you didn’t try something sooner. For a younger healthier you! P.S. Recently my mom said to me, “Do you have any more of that serum? I like it for around my eyes.” She was speaking of Vitamin C Serum+. Clickhere for more info. P.P.S. More to come using coffee oil – I just love this stuff!! P.P.P.S. If you have made any of the DIY recipes from my website or newsletter I’d love to hear from you. Just reply to this email. Mukamal R. Eyelash Extension Facts and Safety. American Academy of Ophthalmology. 2018. Nirankar Agarwal. Eye & Vision Care: Care Relief Repair. 2016. Wong D., Et. al. Treatment of contact lens related dry eye with antibacterial honey. Cont Lens Anterior Eye. 2017. Madhavan J., Et. al. Modulatory Effect of Carotenoid Supplement Constituting Lutein and Zeaxanthin (10:1) on Antioxidant Enzymes and Macular Pigments Level in Rats. Pharmacogn Mag. 2018. Downie LE., Et. al. Oral Omega-3 Supplementation Lowers Intraocular Pressure in Normotensive Adults. Transl Vis Sci Technol. 2018.